It’s the night of August 12 2017 at the Athletics World Championships. 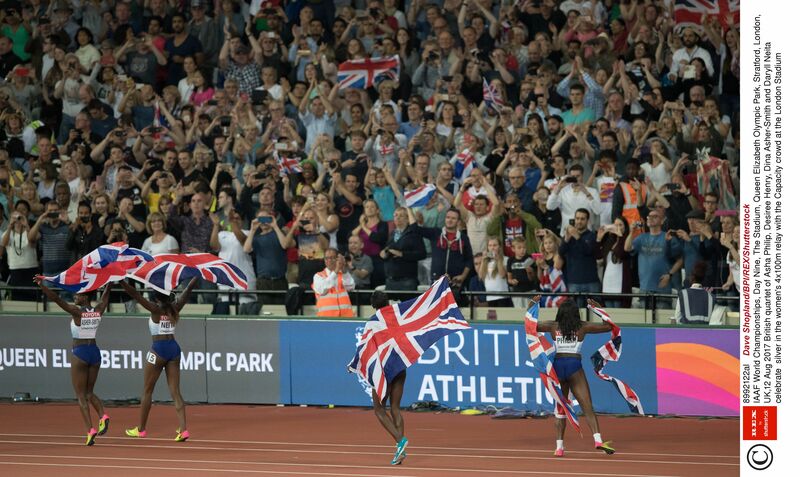 The GB Women’s 4X100 meter relay team have just secured a remarkable silver medal in front of a deafening home crowd at the Olympic Stadium in London. “The crowd was insane, it was crazy, it was the loudest thing I’ve ever heard or experienced,” Asha Philip reminisces, clearly not as lost for words now as she may have been on the night. Along with Dina Asher-Smith, Desiree Henry and Daryll Neita, Philip danced with delight around the Olympic Stadium, rightly milking the acclaim of the home crowd. The former Kingston University drama student had added another impressive achievement to a growing list this summer which already included a gold medal from the 2014 European Championships and a Bronze medal from the Rio Olympics. But it was so nearly over before it had begun for the GB sprinter. A nasty fall while competing as a gymnast in Quebec aged 16 left her out of action entirely for three years with a cruciate knee ligament injury, scuppering any hope she had of making the Beijing Olympics in 2008. “When I was lying on that mat I thought that was it,” Philip says. “At that age I didn’t prepare for life away from it. I had only just started. I was still young and I had never expected to have it taken away from me. But I was so determined and I loved the sport, so I kept going. 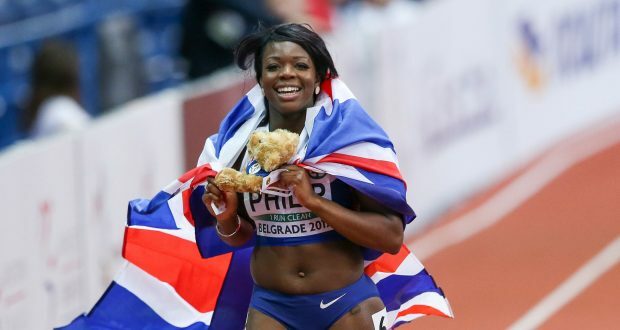 With her athletics career in the balance, Philip turned to drama and to Kingston University in 2009. A bit of a contrast in professions perhaps, but the 27-year-old says the two complimented each other well. They’ve done it again! 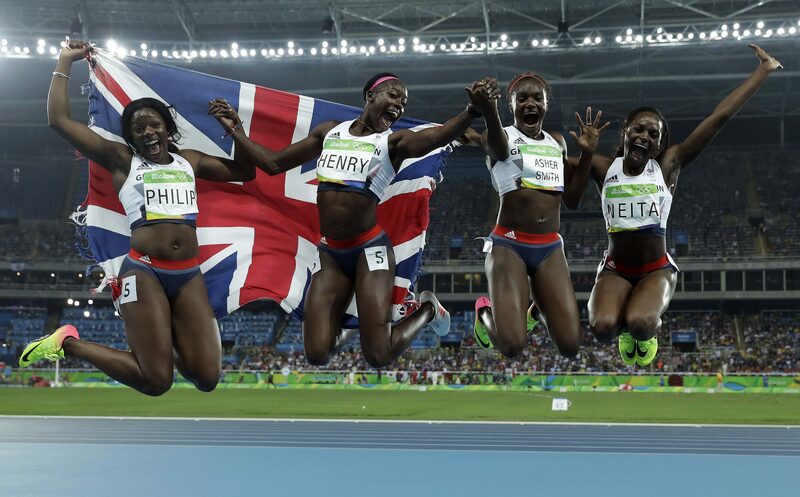 The four Londoners pick up a Silver medal at the World Athletics Championships in London. Photo: Rex Features. She continued to play sports throughout her time at KU, but found it difficult to take part in her one true passion. So her attention turned to netball. “I loved it, I went on tour with them and it was the best time ever,” Philip says with a mischievous laugh. The track was always calling however. Having idolised Venus and Serena Williams as a child, it is hardly surprising that Philip had picked up that mental and physical resilience needed to come back from such a massive setback. She excitedly recalls her fondness for the sporting staff at Kingston. “Does Ricky still work at the gym?” she asks, suddenly remembering a person of importance. Unfortunately, I could neither confirm or deny. “I was training and trying to travel a lot, and they really did help me out,” she says with genuine gratitude in her voice. But she admits that the transition from student life to the life of an athlete in 2012 was a bit a of a shock. “It was a bit different I’ll tell you that much. All those Kingston parties,” she says with a laugh. Philip, like many track and field athletes before her, has had to learn that being a professional athlete is an all or nothing world. “It isn’t one of those jobs that if you know someone who knows someone you can get in. With track and field, you’re either good enough or you’re not. You’re either the best on the day or you’re not. That’s what I find most difficult about our sport. For many sportsmen and women, the next logical step after a competitive career is coaching or punditry. But with a degree in drama and a love of laughter, Philip is keen to utilise her time at KU. “I love comedies. I want to start writing one and see where I get with it. But for now, and for the next five or so years, her mind remains firmly fixed on running tracks, rather than laughing tracks. “I want to have achieved everything I’ve always wanted. I don’t want to leave the sport thinking ‘I wish I’d done this or I could have done this.’ I want to get more medals.